Backed by a team of expert contributors, the Second Edition of this highly acclaimed publication brings a solid understanding of impedance spectroscopy to students, researchers, and engineers in physical chemistry, electrochemistry, and physics. Starting with general principles, the book moves on to explain in detail practical applications for the characterization of materials in electrochemistry, semiconductors, solid electrolytes, corrosion, solid-state devices, and electrochemical power sources. 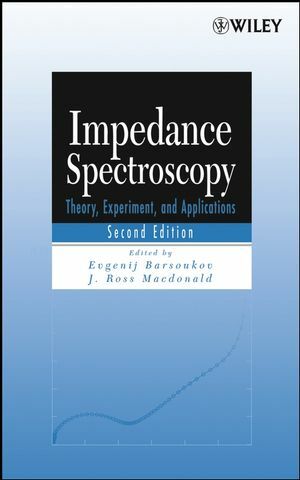 The book covers all of the topics needed to help readers identify whether impedance spectroscopy may be an appropriate method for their particular research problem. This Second Edition incorporates the results of the last two decades of research on the theories and applications of impedance spectroscopy. Most notably, it includes new chapters on batteries, supercapacitors, fuel cells, and photochromic materials. A new chapter on commercially available measurement systems reflects the emergence of impedance spectroscopy as a mainstream research tool. With its balanced focus on both theory and practical problem solving, Impedance Spectroscopy: Theory, Experiment, and Applications, Second Edition serves as an excellent graduate-level textbook as well as a hands-on guide and reference for researchers and engineers.